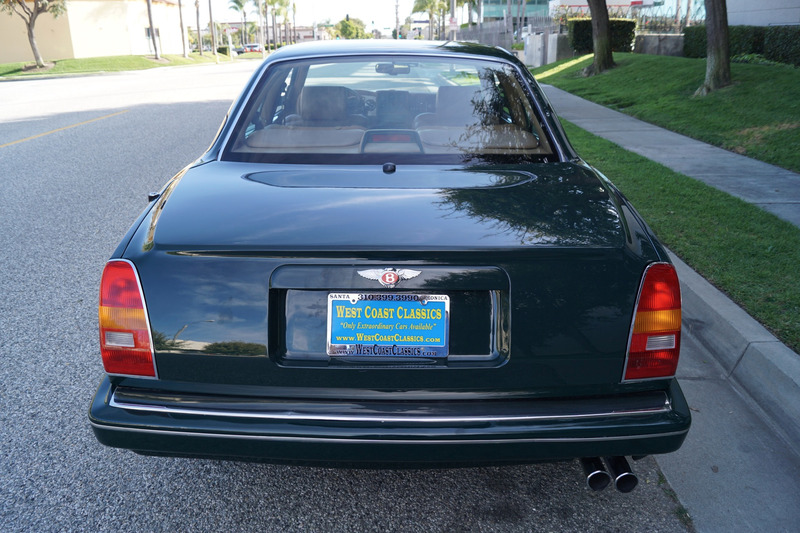 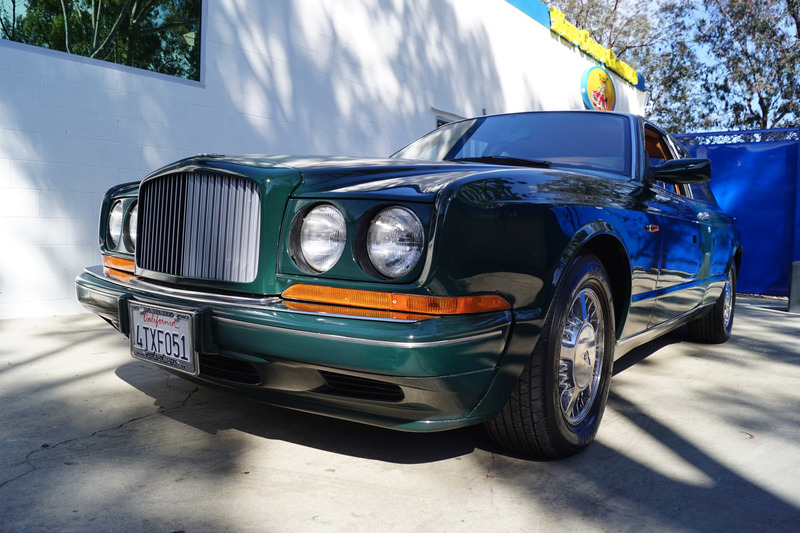 West Coast Classics are proud to present an absolutely stunning and exceptional example of this gorgeous 1993 Bentley Continental R Coupe with coachwork by 'Mulliner Park Ward' with only 55K original miles in this most striking of original color combinations of 'Racing Green' factory color (Code 9520119) paint with 'Tan' Connolly (A4178) leather hides piped in matching Green with Green carpeting and original factory sheepskin rugs! 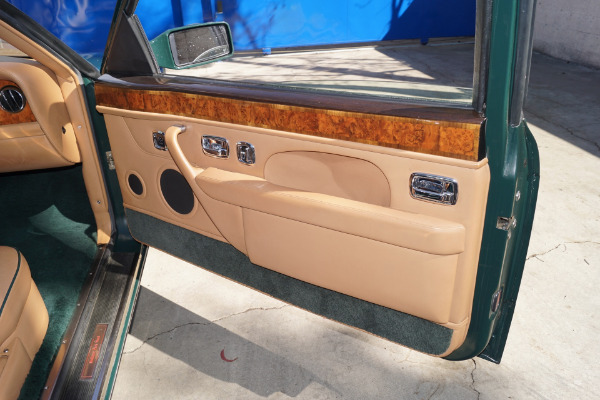 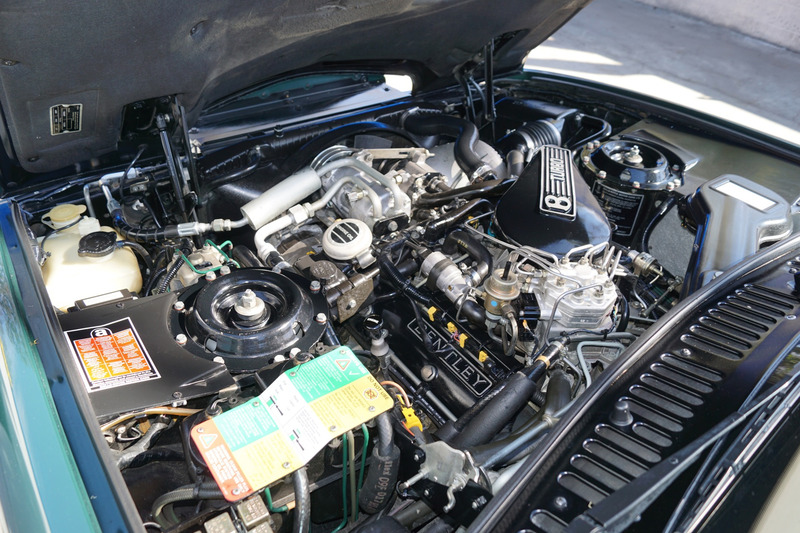 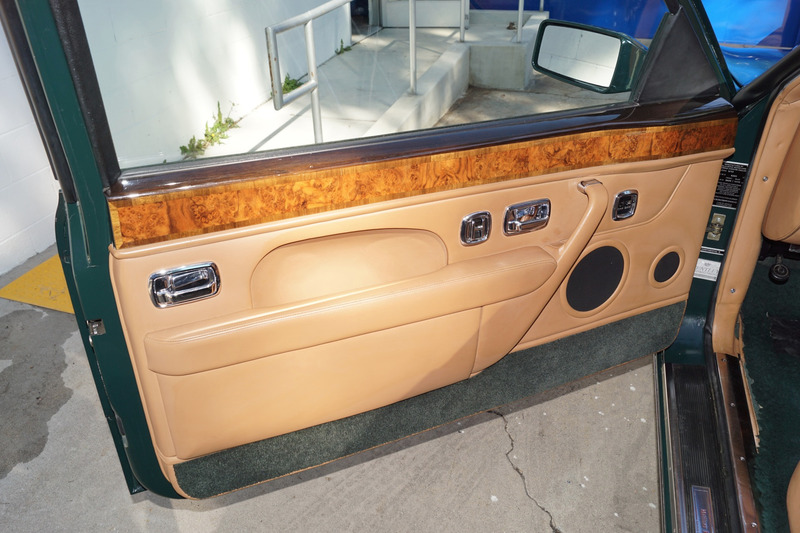 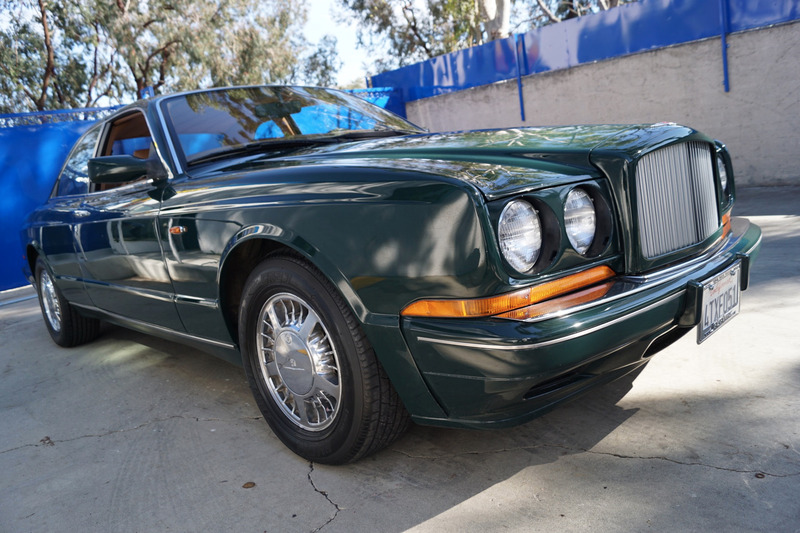 This particularly handsome example has always been primarily serviced at Bentley/Rolls Royce dealerships, including in recent years at the renown 'Desert European Motorcars', the Rolls Royce/Bentley dealership of Rancho Mirage, CA, as confirmed by the clean Carfax report (viewable on our website). 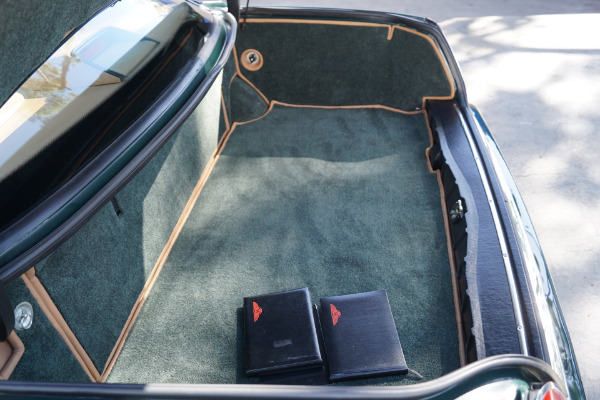 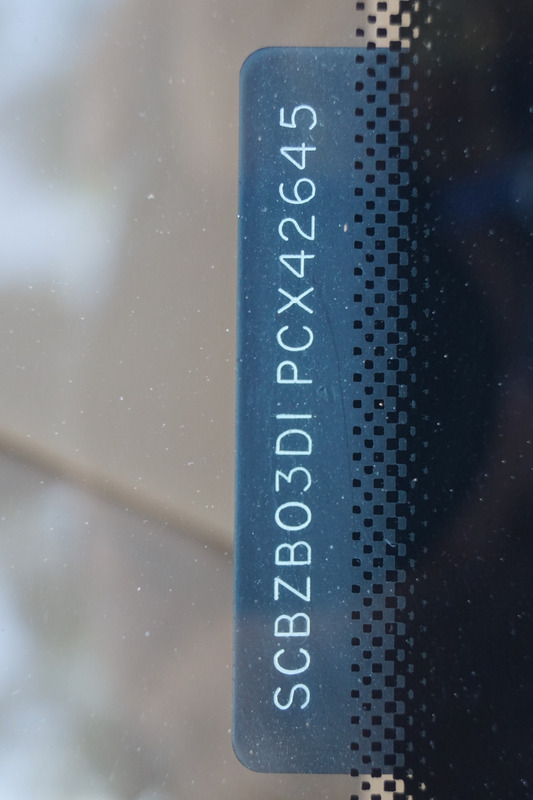 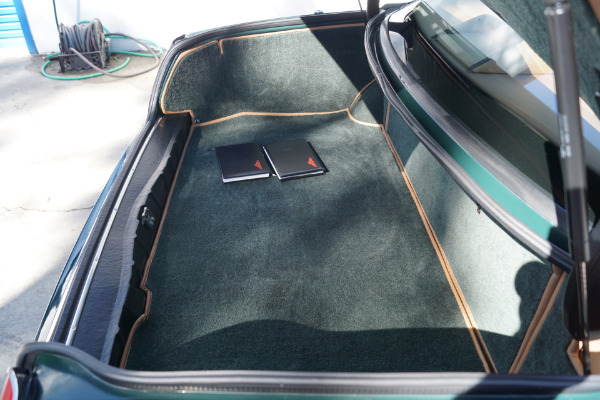 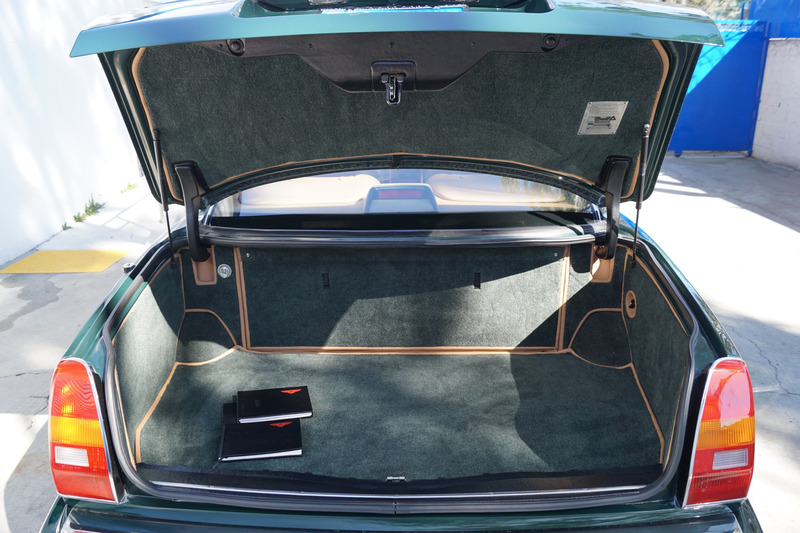 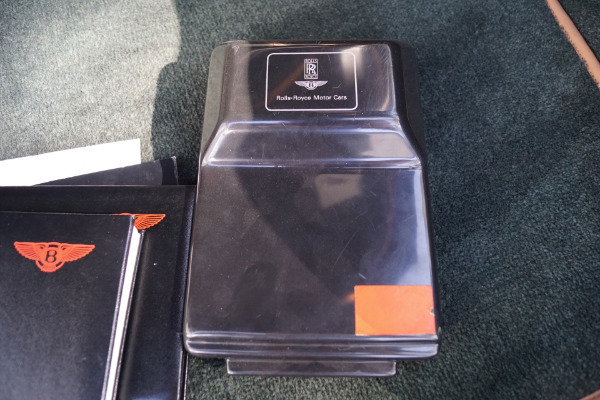 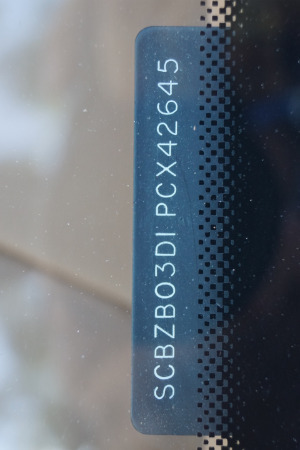 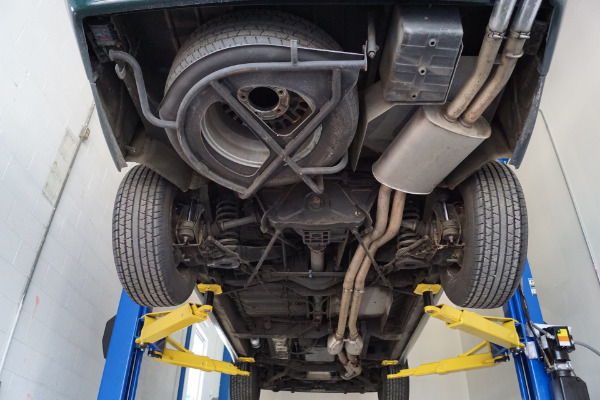 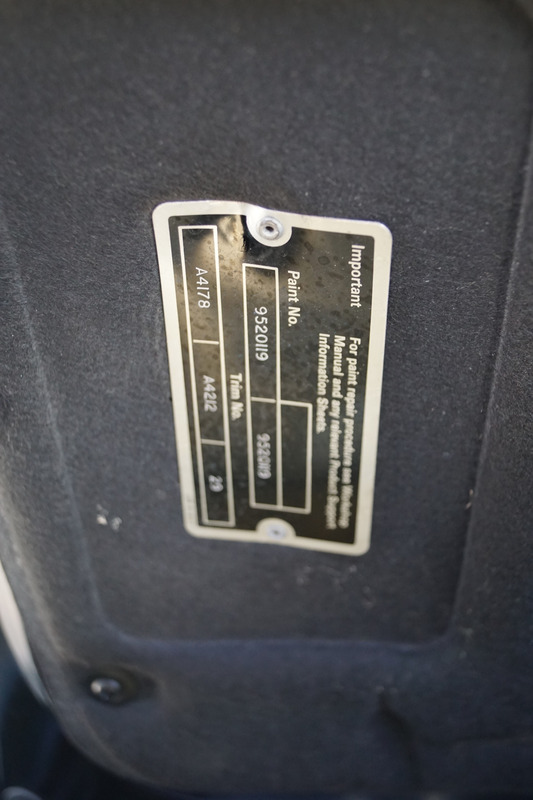 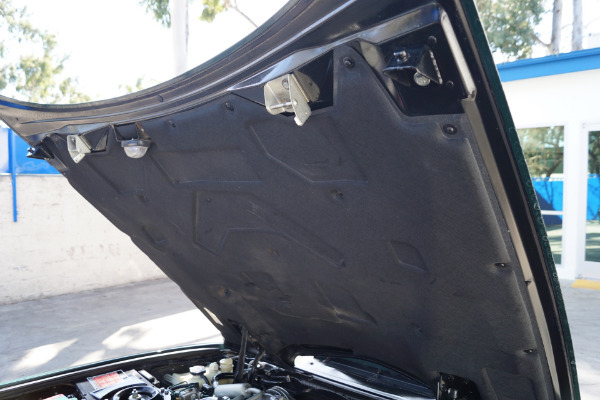 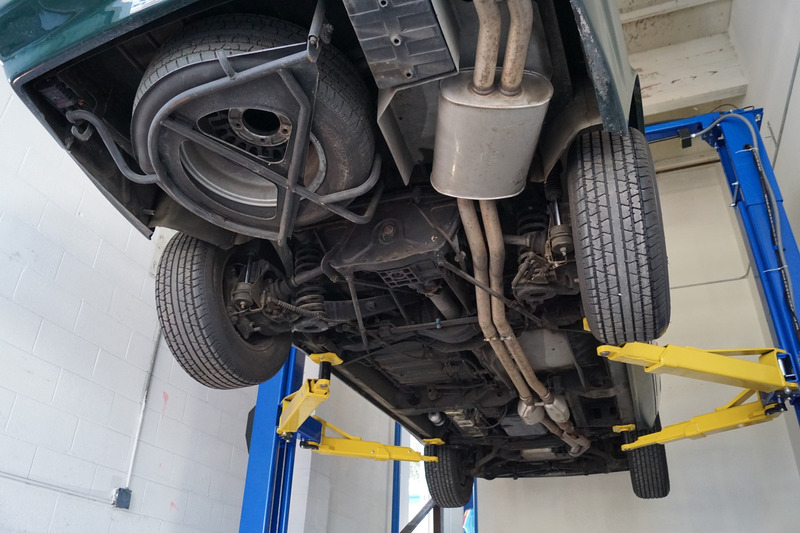 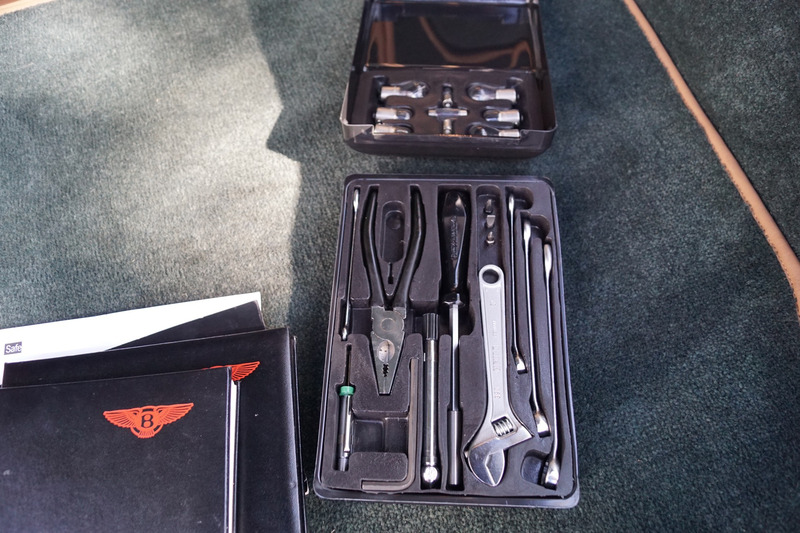 The car will be sold with its original handbooks and unused factory tools. 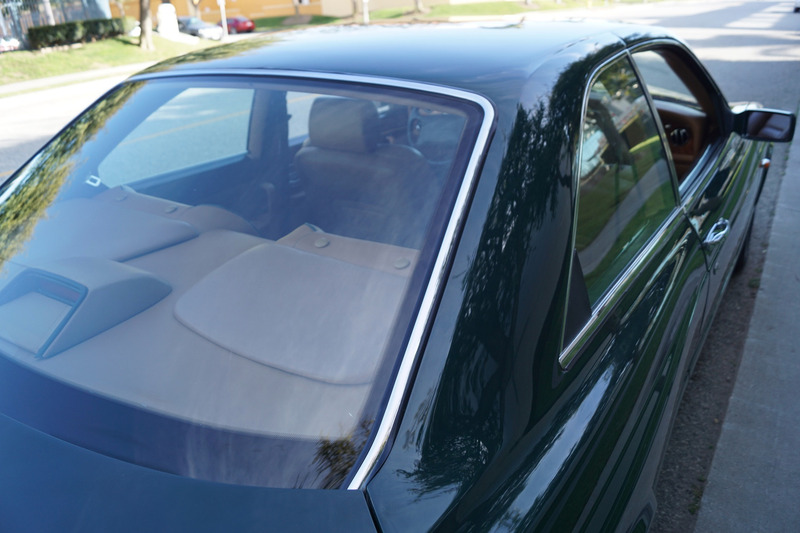 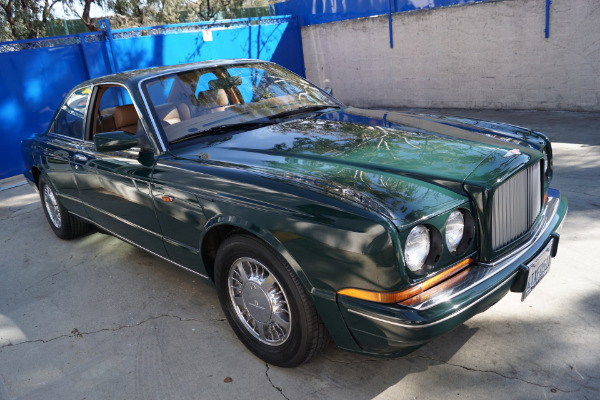 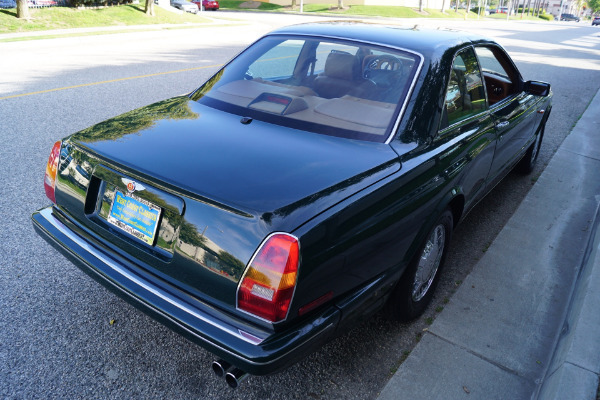 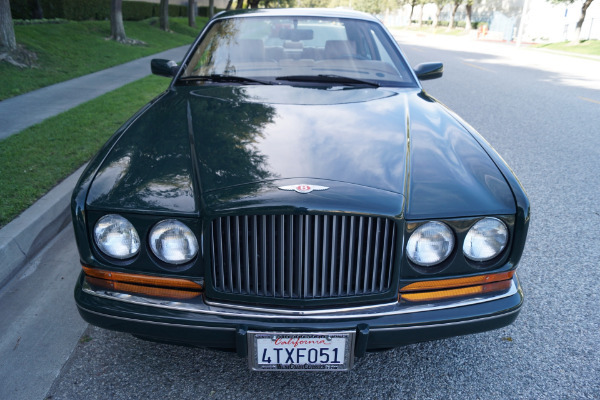 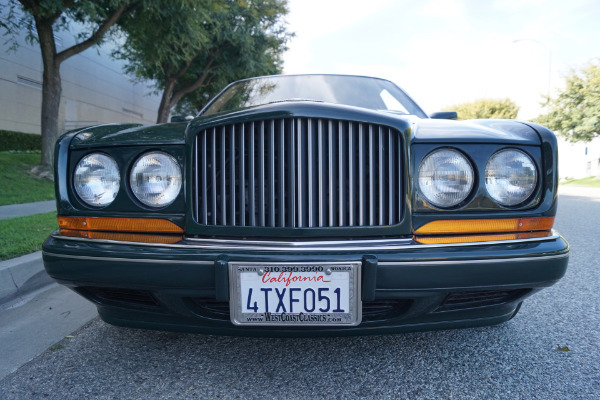 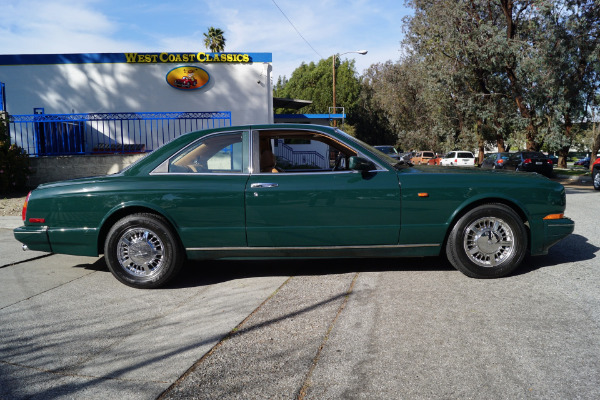 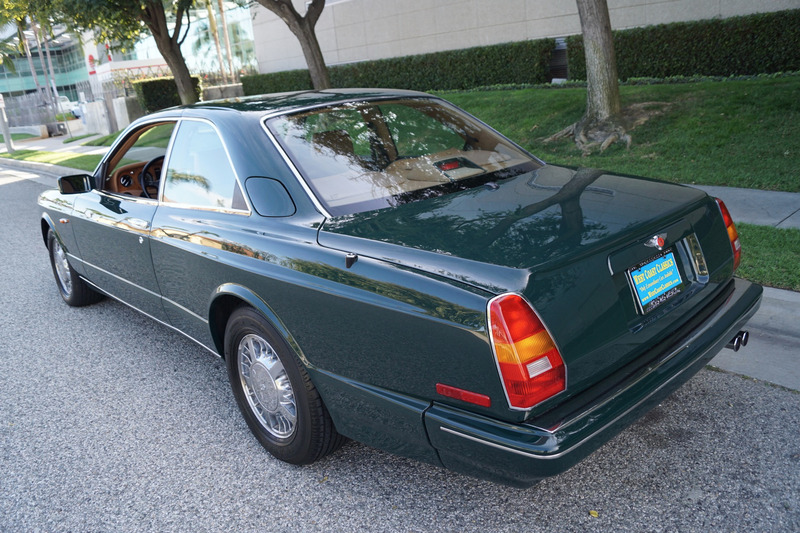 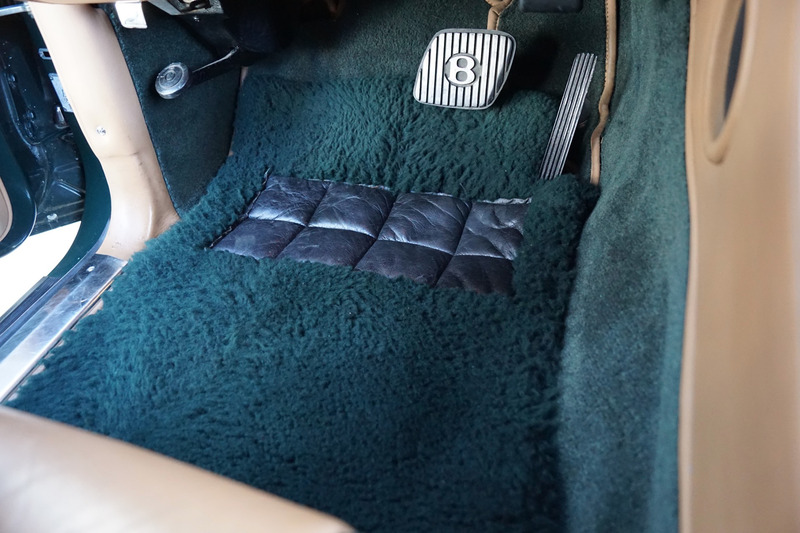 This beautiful example has a highly desirable color combination of original factory 'Racing Green' color exterior paint, original Bentley chrome alloy wheels and a gorgeous 'Tan' Connolly leather hides interior with matching 'Racing Green' piping and carpeting and which is in virtually flawless condition throughout. 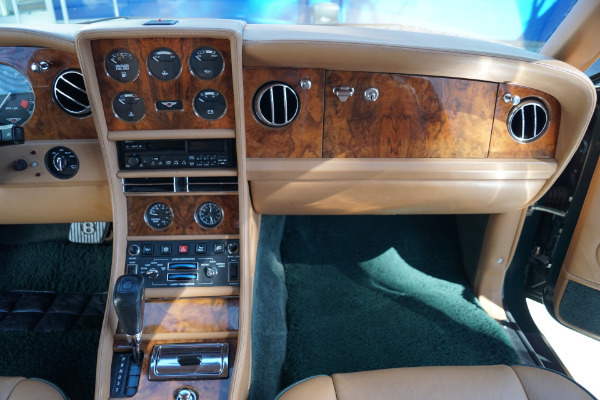 All the chrome work including the front grille and bumpers is absolutely outstanding, the leather seats and dashboard show virtually no signs of any wear whatsoever. 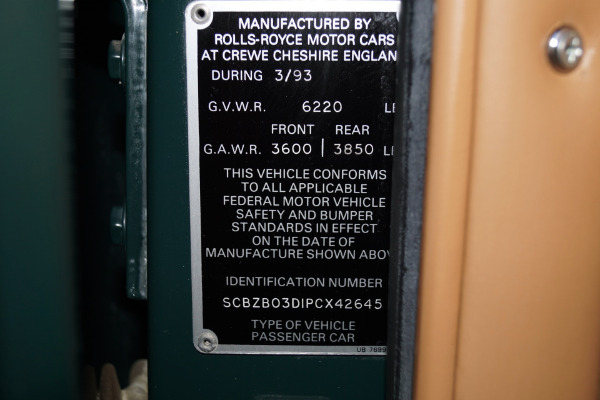 Obviously always garaged with no history of any accidents and owned by obviously only very careful and meticulous drivers since new - never abused! 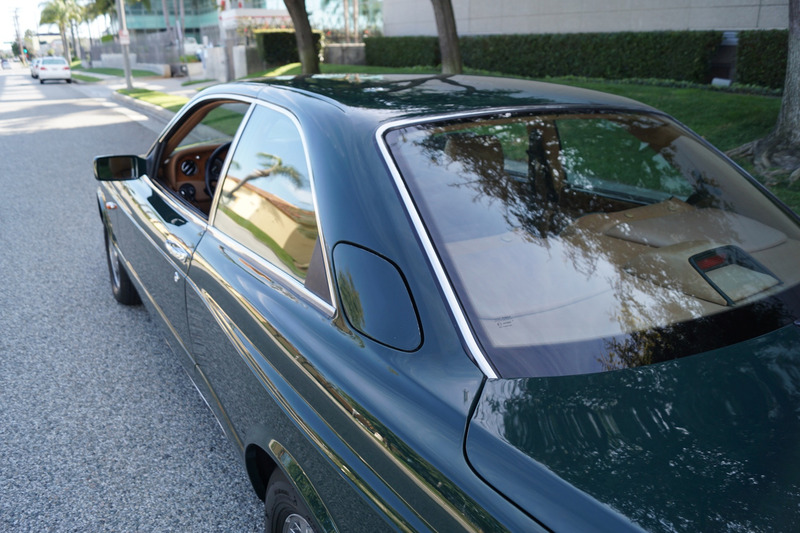 Bentley's history is associated with luxury and grace but another attribute is of course high performance. 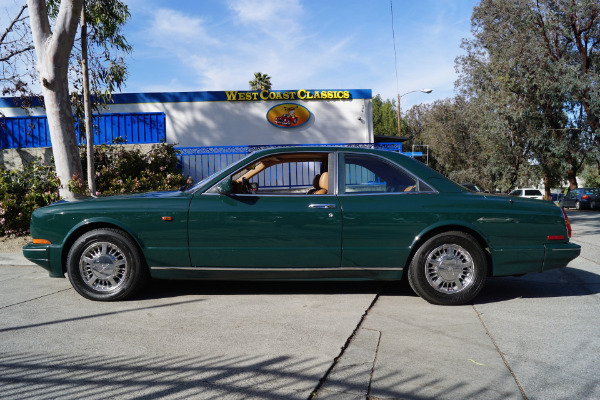 The original factory color paint reflects like glass and is without doubt one of the most highly desirable and most classic of colors that these classic British cars were ever built in. 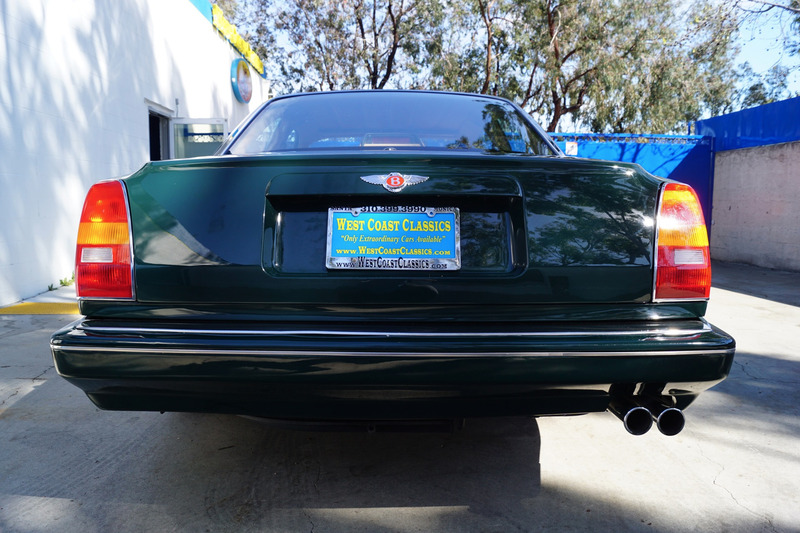 Inspired by the legendary dark green international racing color of the United Kingdom, aka 'British Racing Green', and originally made famous by Bentley's hugely successful dark green cars raced at the Le Mans 24hr in the 1920's and later by such legendary British marques like Aston Martin, Cooper and Lotus in Formula One in the 1950's and 60's. 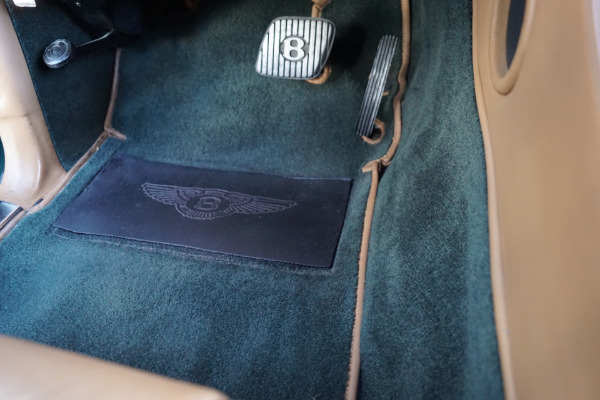 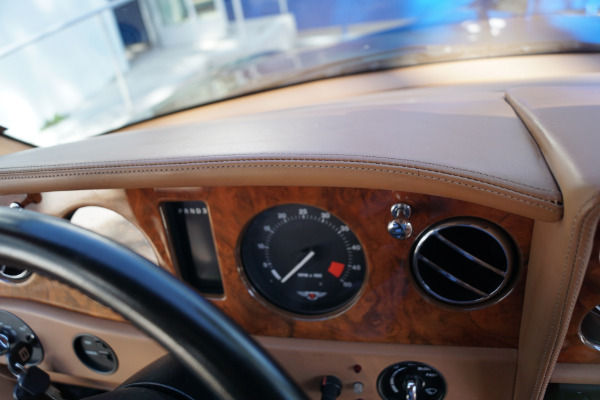 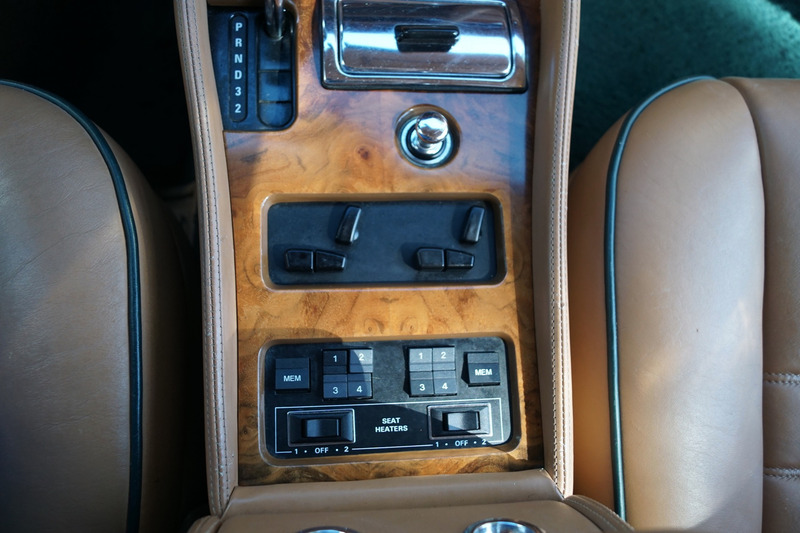 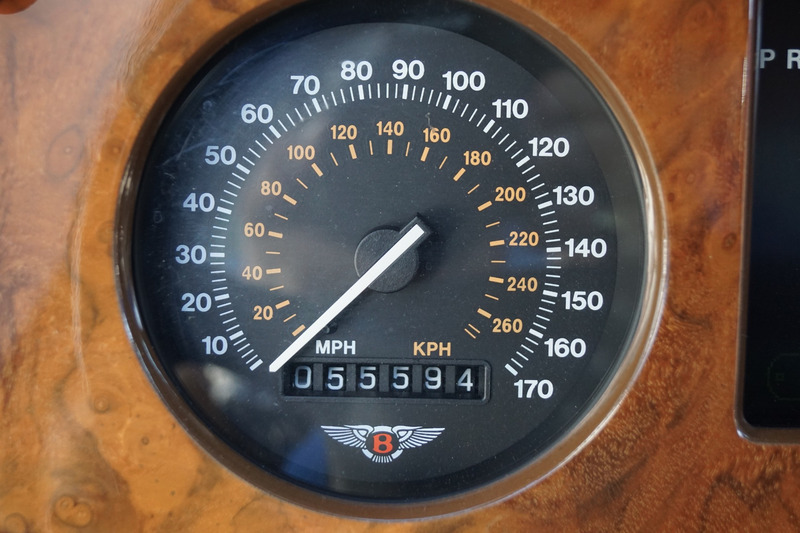 The car drives exactly like a well maintained and serviced Bentley Continental R Coupe should and must be driven to be fully appreciated and seen to be believed! 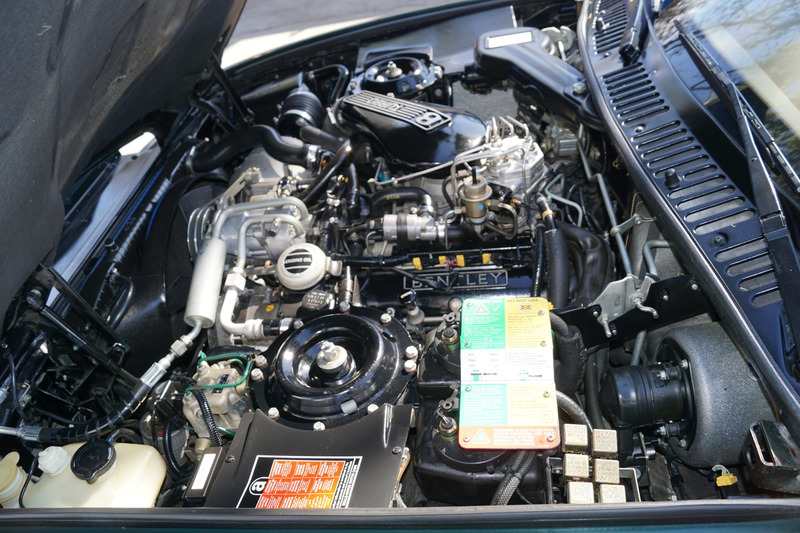 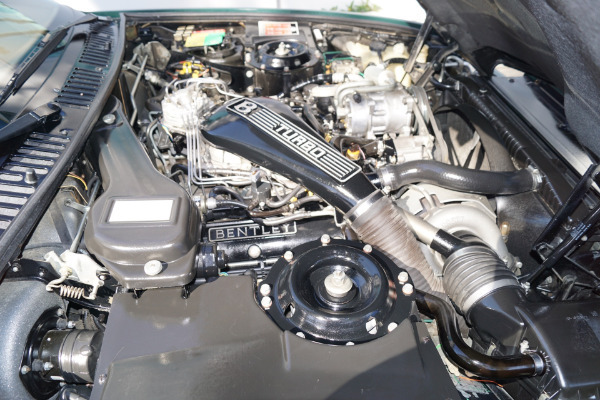 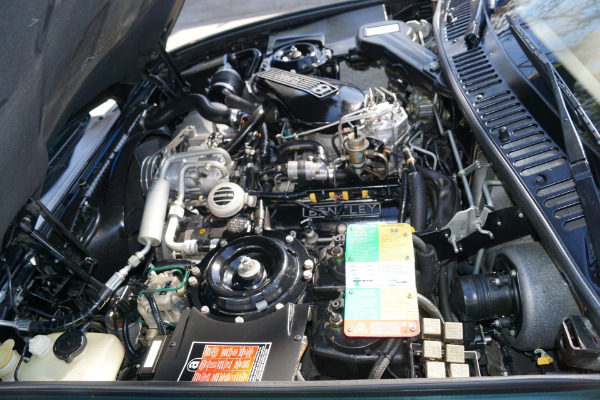 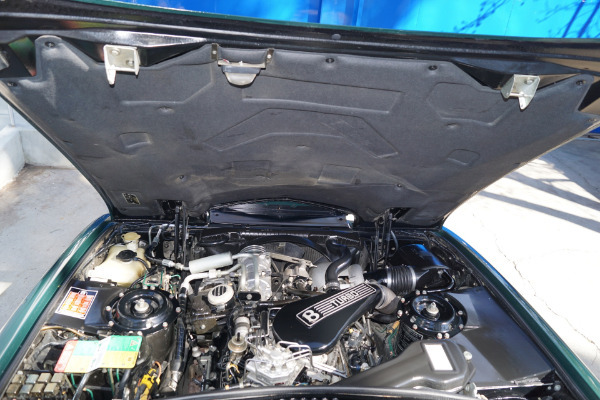 The engine is extremely strong with no oil leaks, the transmission is very smooth with Rolls Royce/Bentley's legendary almost imperceptible shift and the engine temperature always remains cool. 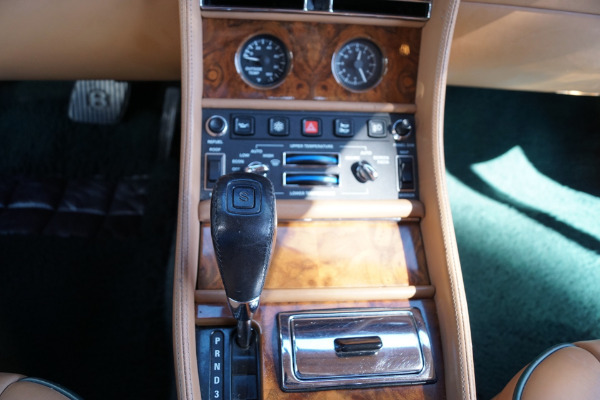 Turn-key ready, this particular model drives exactly as it must have when it left the showroom floor over twenty years ago, you could not possible tell the difference! 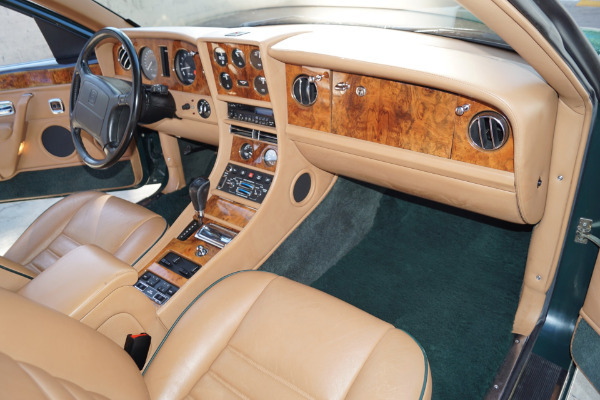 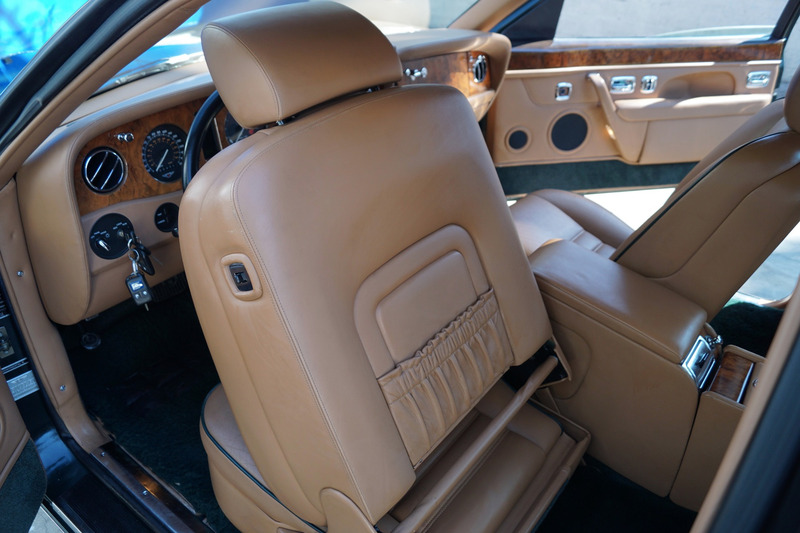 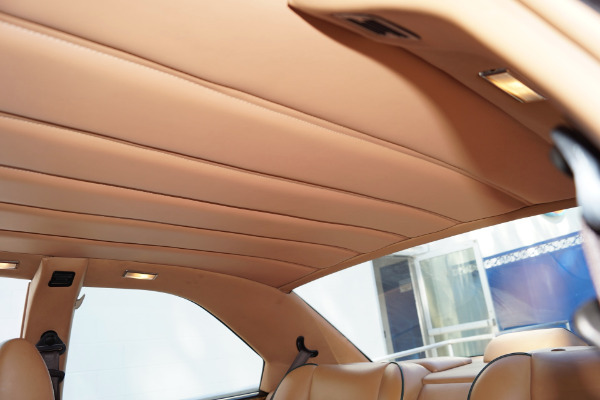 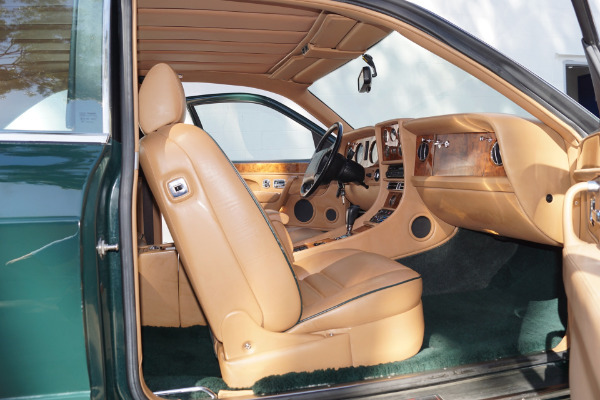 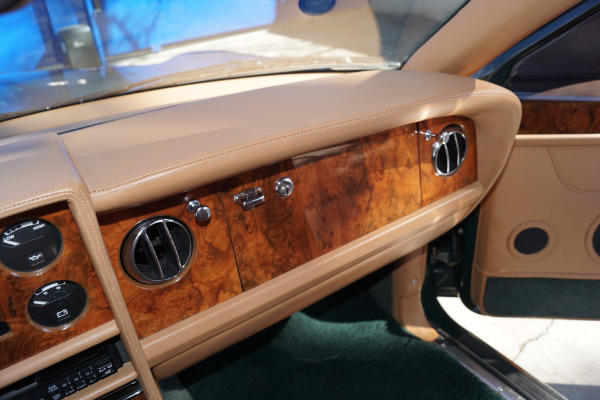 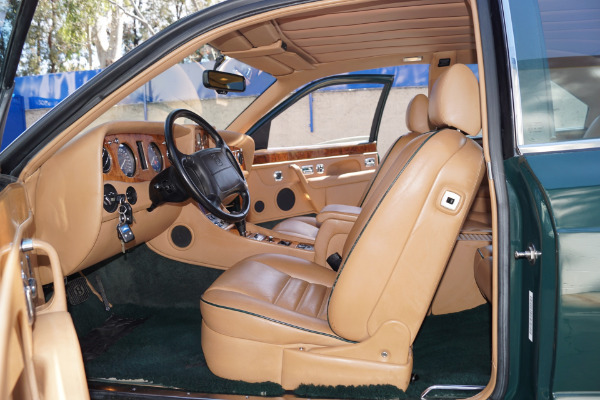 The Bentley Continental R Coupe was a large, ultra exclusive, luxury coupe made by Bentley from 1991 to 2002 with only some 1,236 Continental R cars built during its 11 years production run. 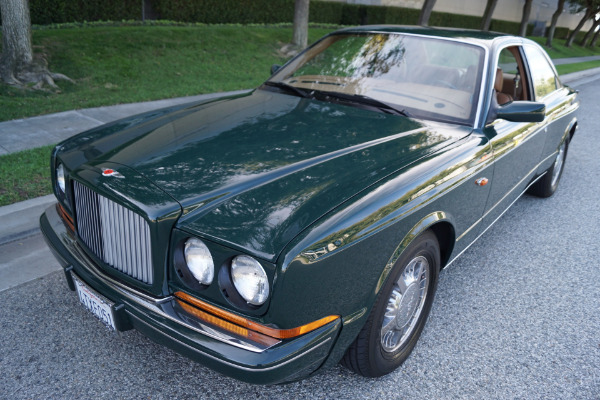 It was the first Bentley to feature a body not shared with a Rolls-Royce model since the S3 model of 1965 and the fastest, most expensive, and most powerful Bentley of its day. 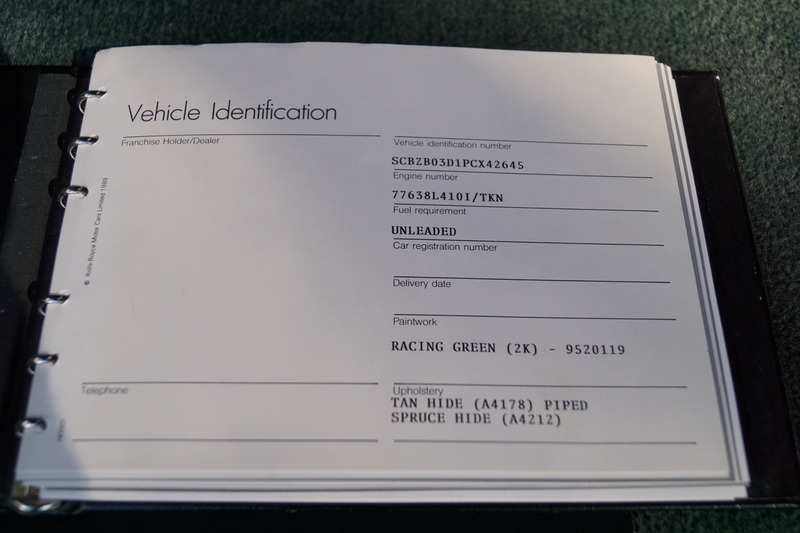 It also of note that it was the most expensive production car in the world at launch. 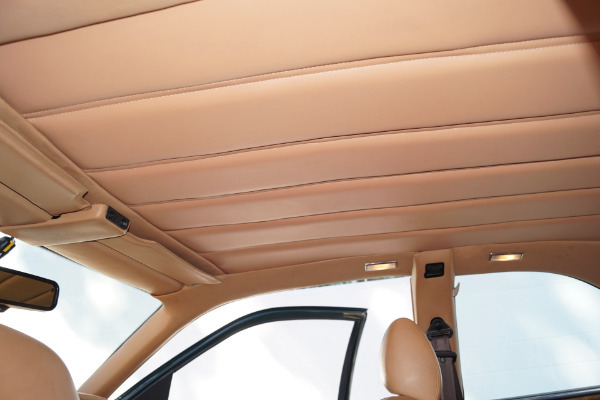 A convertible derivative was launched in 1995 named the Azure. The concept which later became the Continental R was displayed in Geneva in 1984 as Rolls-Royce's 'Project 90' concept car, a mock-up of a future Bentley coup. 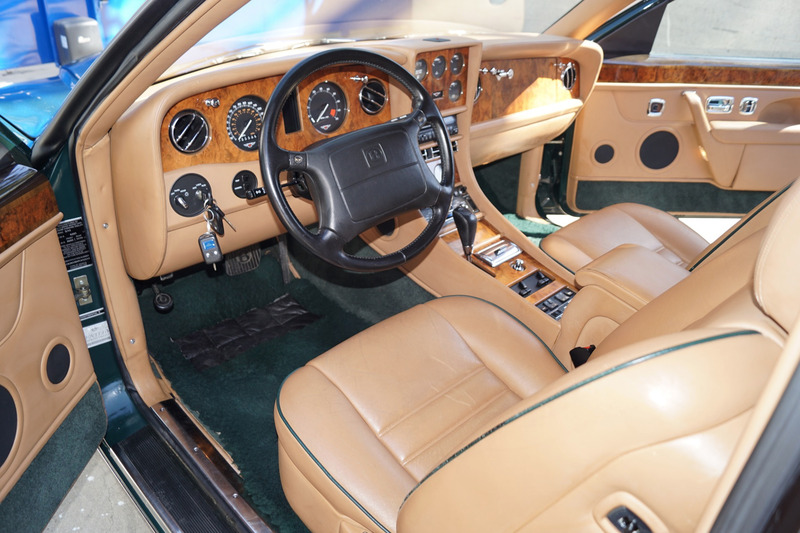 An enthusiastic reception led the company to develop the vehicle for production as the Continental R. Based on the Turbo R platform, an aerodynamically shaped coup body had been styled. 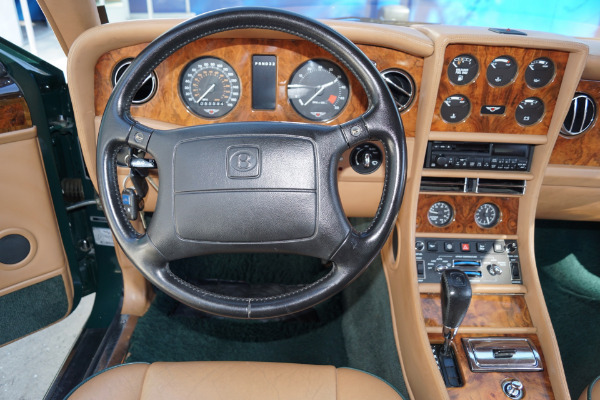 The Continental R was launched in Geneva in 1991 and was greeted by the onlooking crowd with spontaneous applause with the Sultan of Brunei purchasing the show car on-site. 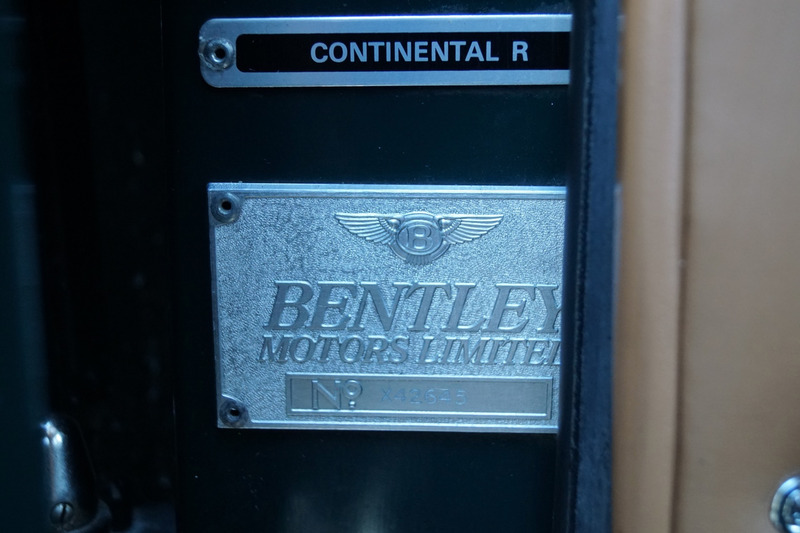 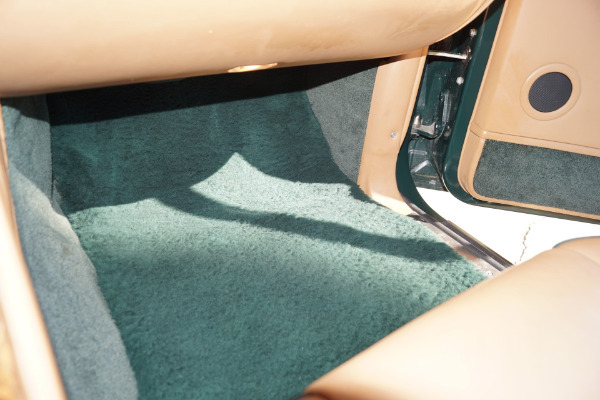 The 'Continental' designation recalls the Bentley Continental of the post-war period. 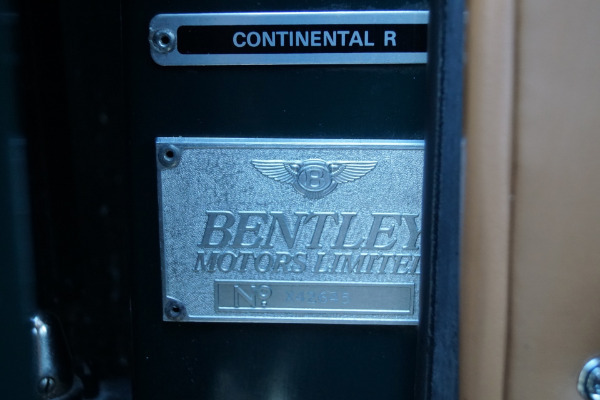 The 'R' was meant to recall the R Type Bentleys from the 1950s as well as the Turbo R of the 1980s and 90's where the 'R' refers to 'Roadholding'. 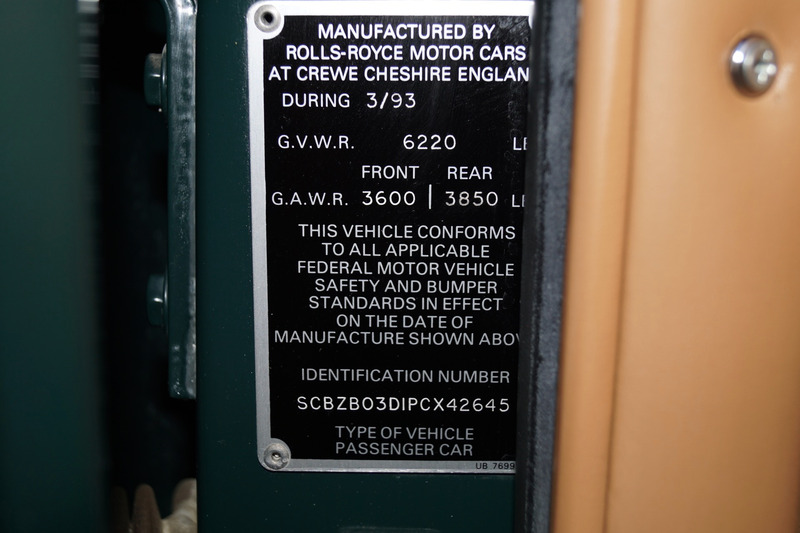 For those who are unfamiliar, Rolls Royce and Bentley no longer exist as they had for over one hundred years - this is one of the last in the original line of cars built in the legendary Rolls Royce/Bentley factory in Crewe, England with a quality and craftsmanship that far surpasses that of today's mass produced models with many BMW parts - this is a rare opportunity to own a piece of automobile history, from a time when Rolls Royce and Bentley were truly building the world's finest motor cars. This increasingly collectible model is becoming harder to find in such exemplary condition, with only very limited numbers ever built, this must certainly be one of the finest examples available anywhere - so bid with confidence, this will no doubt prove a fabulous investment for the Rolls Royce or Bentley enthusiast or collector or simply a great daily driver or weekend toy for the discerning luxury classic car owner! 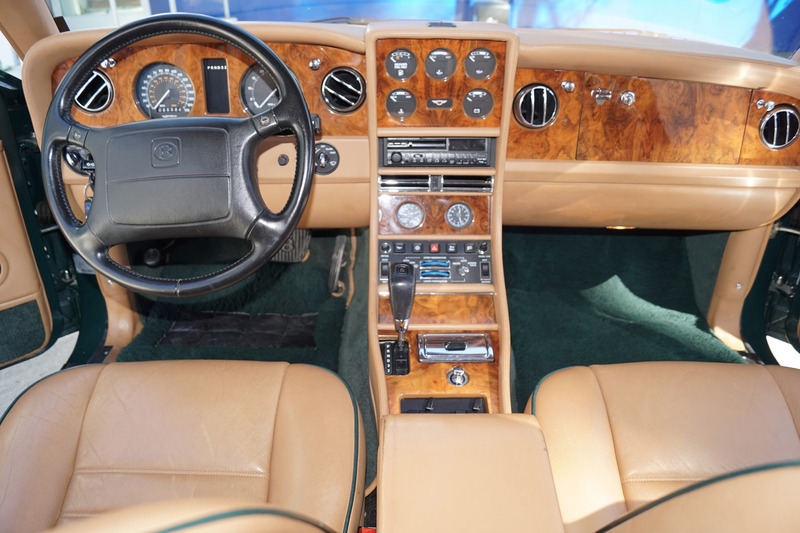 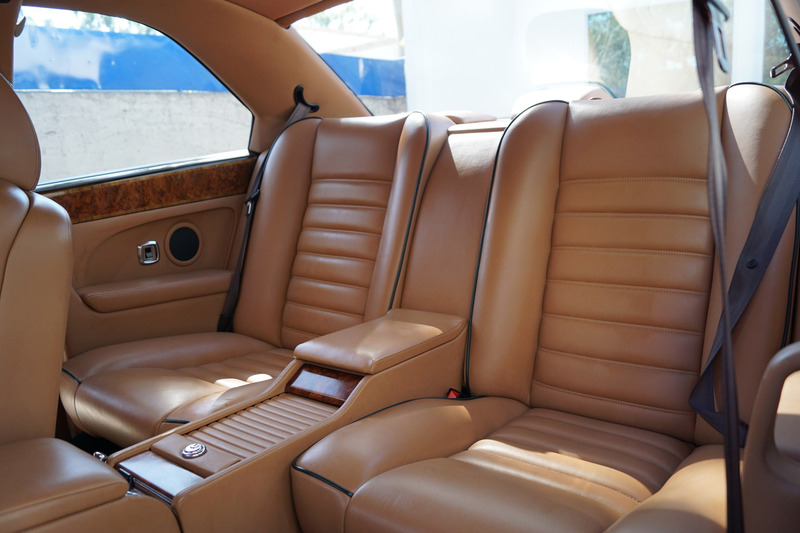 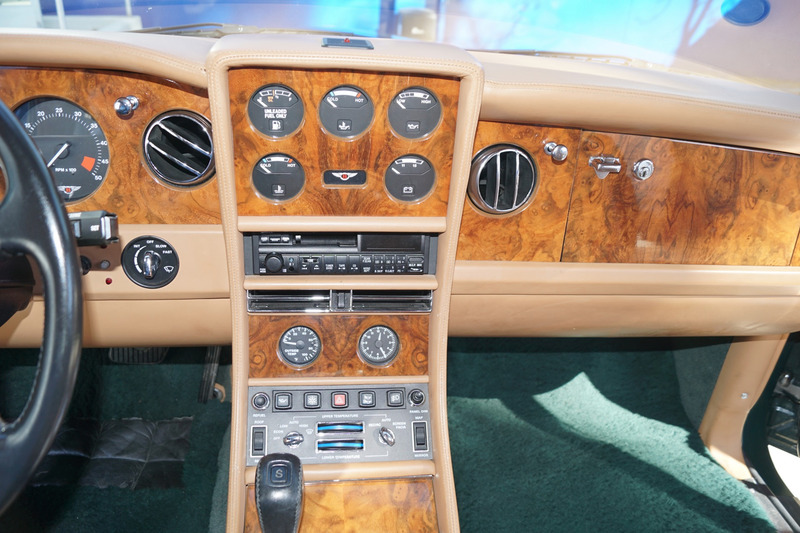 You will surely look long and hard to find a finer example of this low 55K miles 1993 Bentley Continental R Coupe!